"The App Store brings a world of possibilities to iPhone,iPod touch, and iPad. It's about to do the same for your Mac." 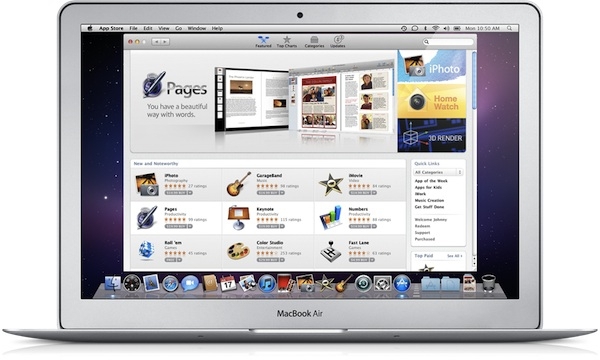 Tomorrow we will all find out if the Mac App Store is going to expand our possibilities. I just like the fact that it is going to work like the current app store for iOS, in that you will be able to download apps you have already purchased and won't have to remember activation codes. I am curious to see how well stocked this store is going to be, what are your thoughts about this kind of store?